your computer with the world's strongest technology. with the world's strongest technology. 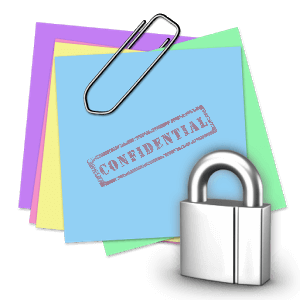 Lock and encrypt all your sensitive files and folders including your photos, movies, credit card data, tax returns or any other private document. 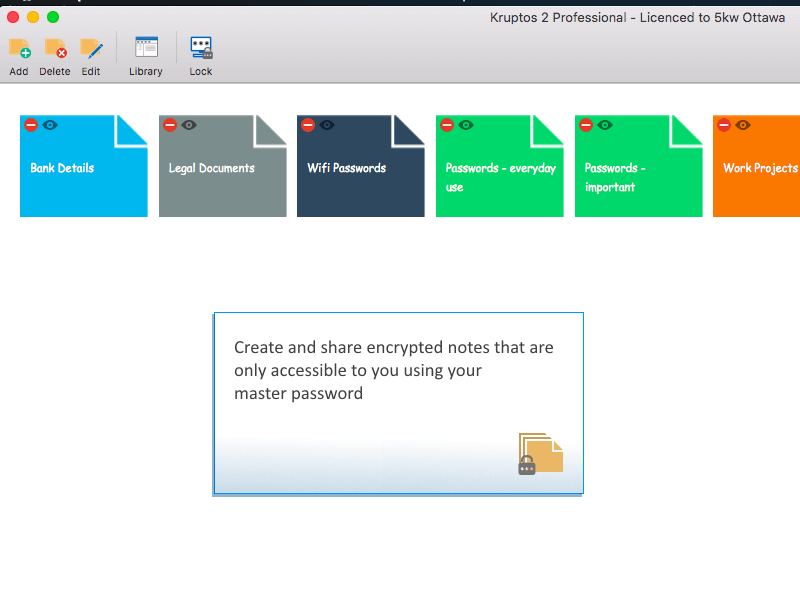 Kruptos 2 works wherever you are, encrypt and edit on your favourite platform. Your files are locked even if your computer or phone is stolen or broken into. 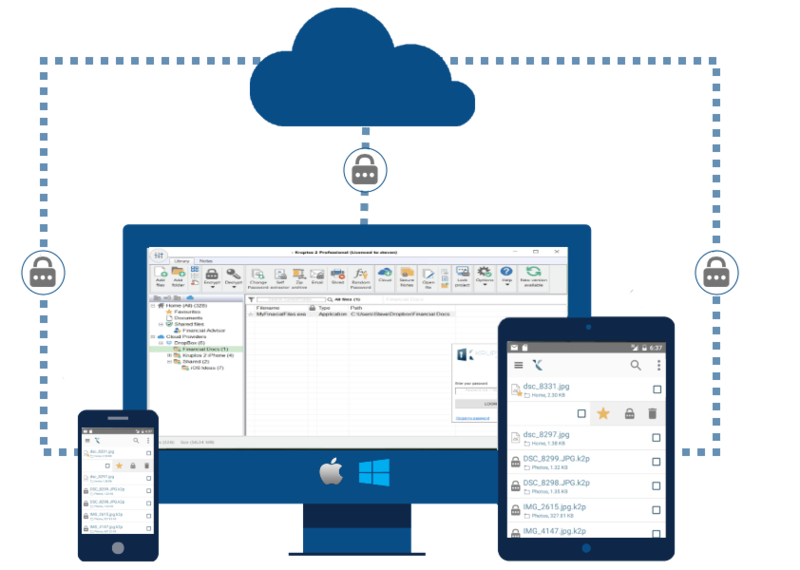 Encrypt your Dropbox, Microsoft OneDrive, Apple iCloud or Google Drive files with fully integrated and seamless Cloud encryption and data shredding. 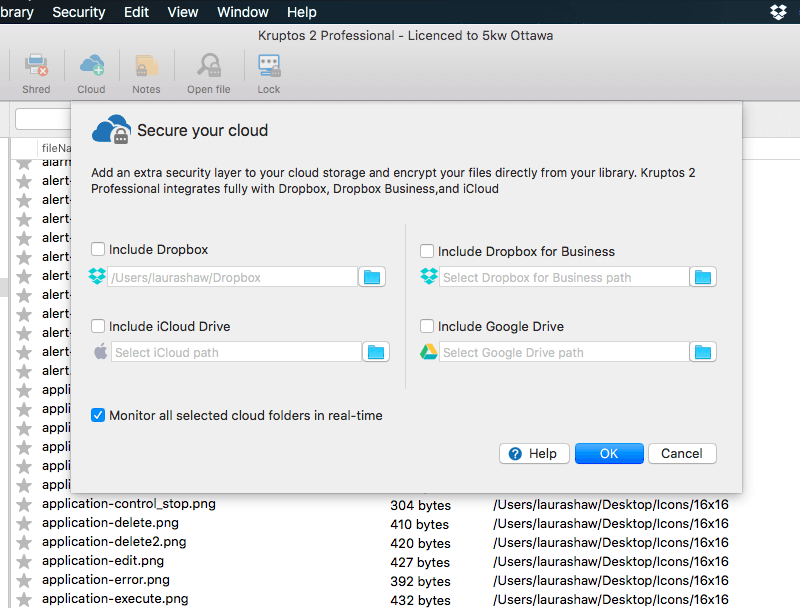 Your cloud files are automatically and seamlessly integrated into your Kruptos 2 library ready for encryption, in just 1 click! Create, organise, and keep your important personal notes safe and secure with our inbuilt secure note editor. Store top-secret keys, wifi passwords, bank details...whatever you like. Keep them safe, private, and accessible to only you. Share your encrypted files between any compatible Windows Computer, Apple Mac or Android device via the cloud, Email or any other file sharing App. 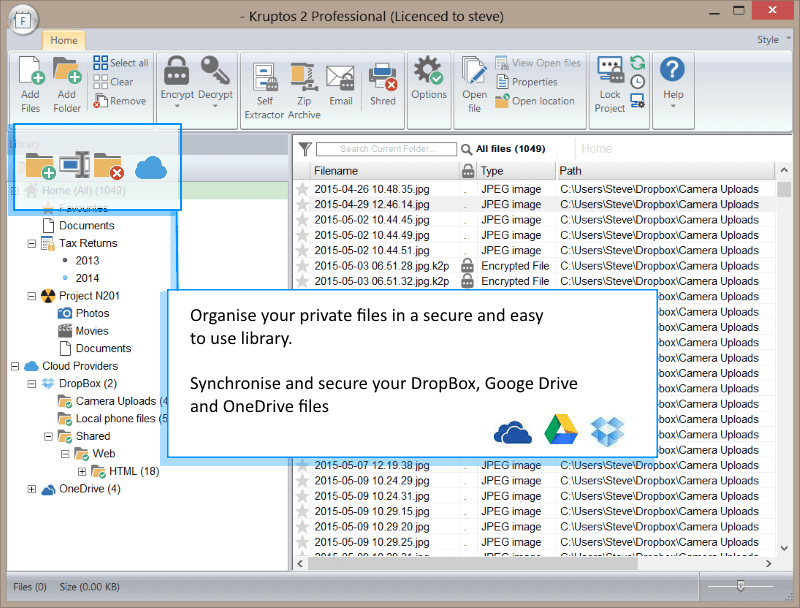 Kruptos is a one-stop data security center for Windows, Mac OS and Android systems that quickly encrypts data. 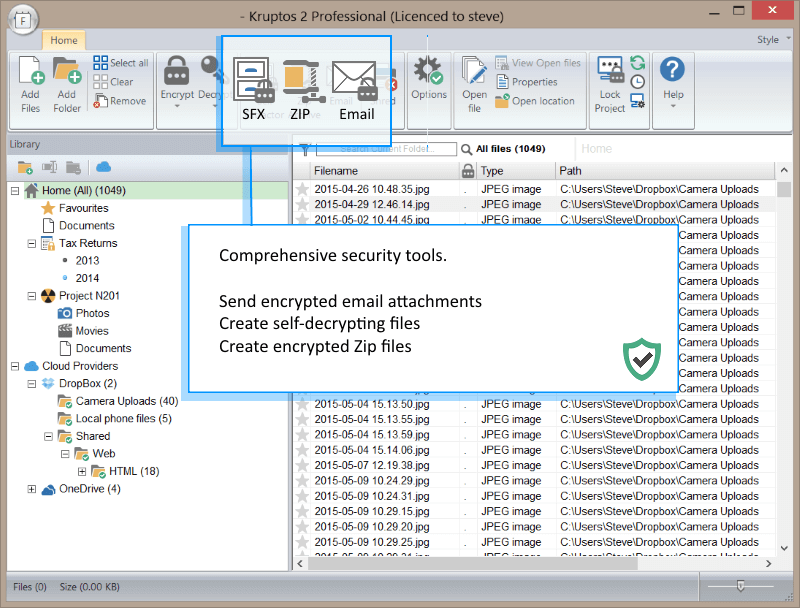 Kruptos 2 Professional - smart, comprehensive and secure tool that locks your sensitive data by encrypting it using reliable and efficient encryption methods. Probably the best and well thought out encryption apps, especially in conjunction with the windows version. Very cool keeps stuff protected I use the desktop version and usb version and it works great this is not different awesome products. 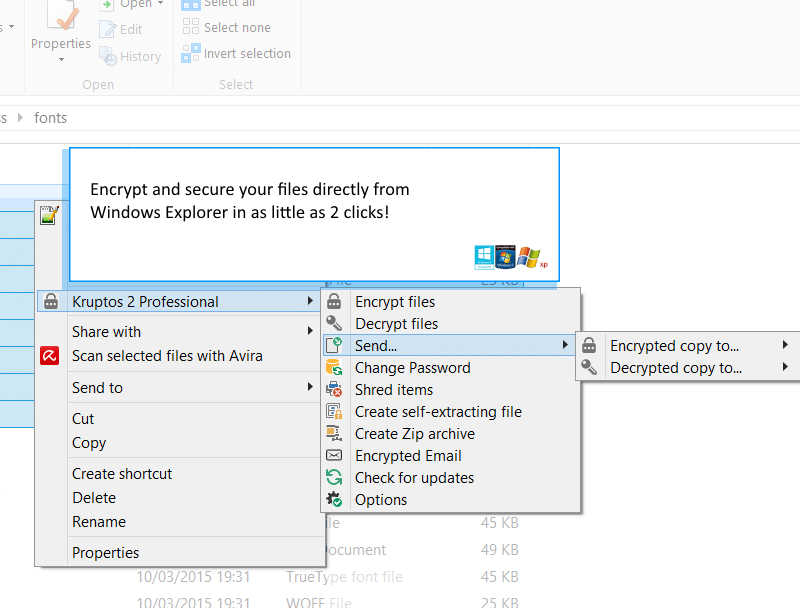 This is the best encryption software you will find. Not only is it robust, but it's very easy to use. This is the true sign of a quality product. 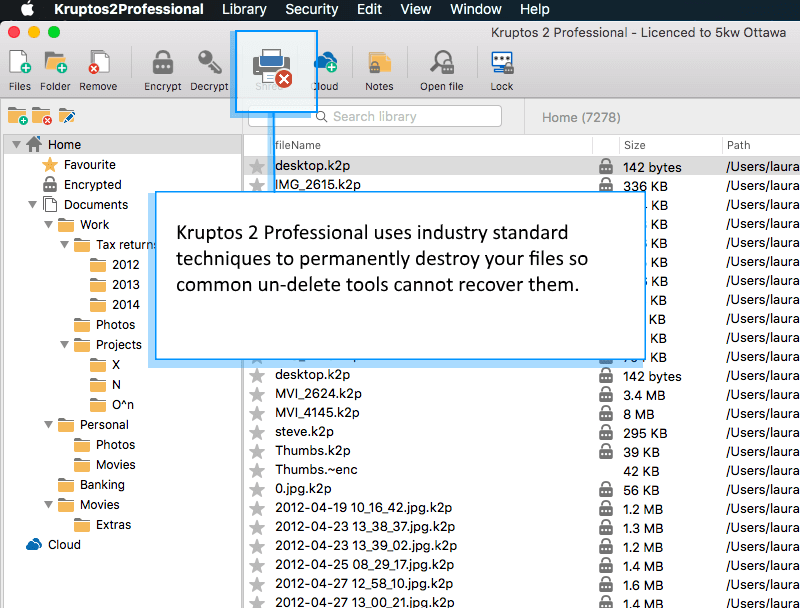 If you're managing sensitive files, you must have Kruptos! 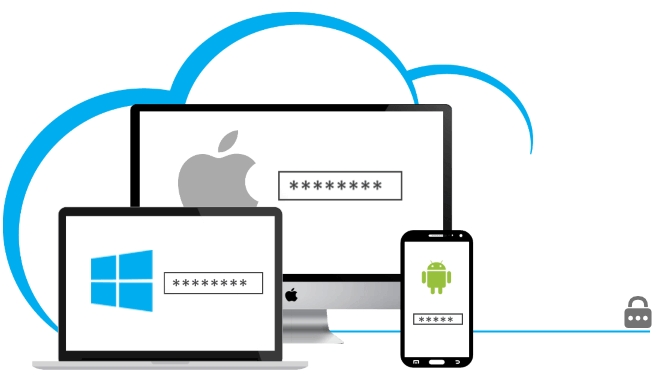 Extremely stable, file encryption software, i have tried just about everything out there to find one reliable enough to use for our business and personal use. This has been great for the past 2 years, i highly recommend it all. So what is Kruptos 2 ? 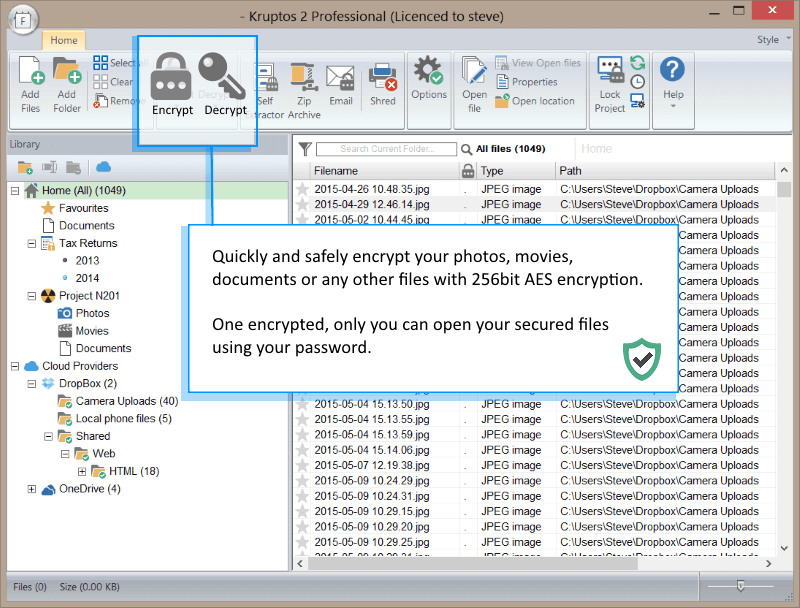 Kruptos 2 Professional is an easy to use file encryption program that uses 256-bit encryption to password protect your private files and prevent them from being modified, read or even accessed without the correct password. With Kruptos 2 you can password protect all your sensitive personal and commercial information including your photos, movies, credit card data, tax returns or any other private document. 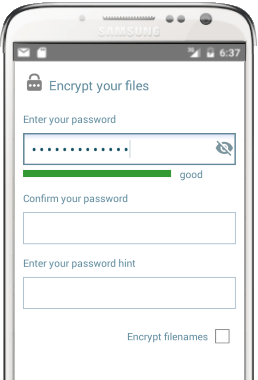 With Kruptos 2 Android you can password protect your Photos, Movies, Documents or any other private file. 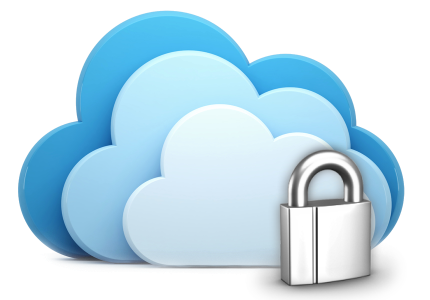 Once encrypted, you can share your secured files via Dropbox, Google drive, Gmail and many other file sharing Apps. 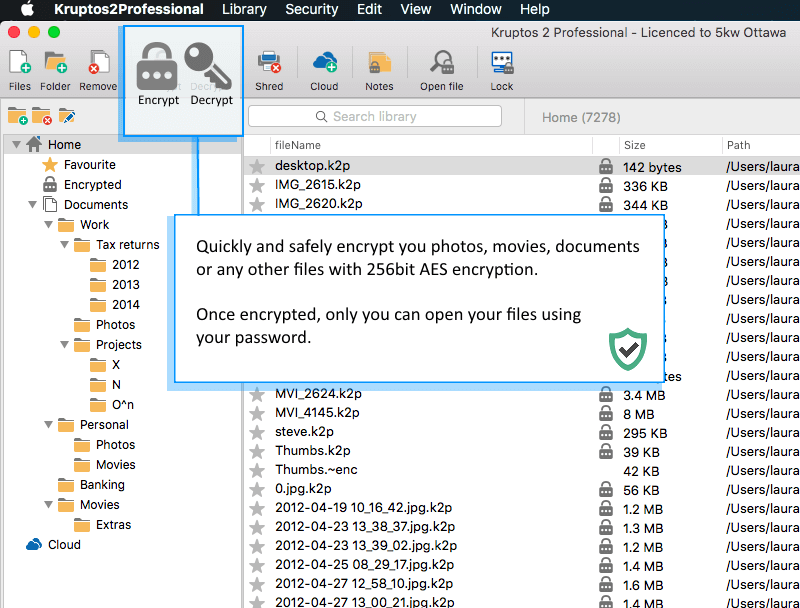 Looking for USB drive encryption? 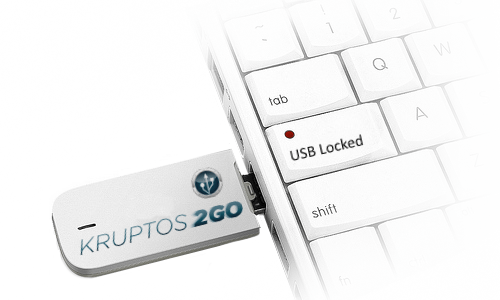 With Kruptos 2 Go you can Password protect your portable USB device with 256bit encryption. keeps your files locked even if your USB drive is stolen or lost! Need help with Kruptos for Windows?